Ticket4Football is a leading secondary marketplace for football tickets. Prices are set by sellers and may be above or below face value. Please note: All times UK. Fixtures are subject to change. T4F is not responsible for any changes that may be made. There are no tickets for this event. Subscribe for ticket information for this event. 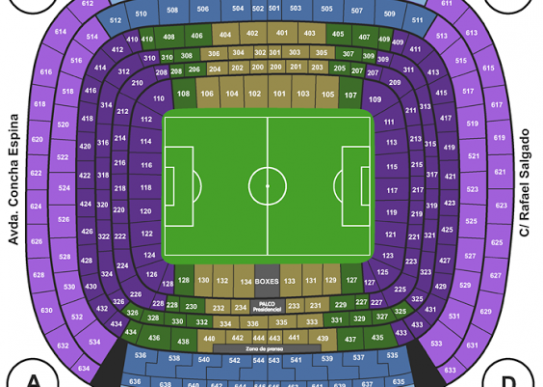 Real Madrid Vs Villarreal Tickets. All tickets 100% guaranteed. Ticket4Football have a superb range of football tickets for all premium matches. Dedicated LiveChat & Customer support 24/7. Call 0208 432 2850 from UK. We promise you will receive the seats you have ordered or better. In the unlikely event you do not receive your order - a 100% refund will be actioned.